Canine Distemper is a highly contagious, viral disease which is often fatal. It affects the gastrointestinal, respiratory and central nervous systems. Canine distemper infects dogs but can be found in other animals. The specific germ of this disease has never been isolated, therefore a true culture of the germ has never been made. The best-known remedy is Dent’s Distemperine, the result of experiments made by veterinarians connected with the United States Department of Agriculture, and in a public test, showing that ninety per cent of the cases in which it was used recovered. 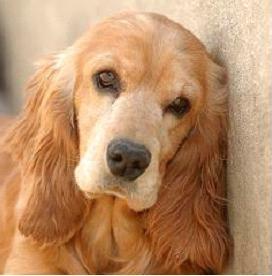 A number of complications are liable to develop with or follow a case of distemper. Among them are vomiting, which can be prevented by carefully selecting those foods that the stomach digests most easily; but if the stomach refuses to retain even the most digestible of these. Diarrhea must not be checked unless it is very severe and the discharges are tinged with blood. In such cases give a gruel made of toasted wheat flour and milk. The tannate or sub-gallate of bismuth is useful in these cases in doses of from ten to forty grains, and one dose may give satisfactory results; if it does not, from five to ten grains of chalk with from five to twenty grains of ether or laudanum should be administered in a little milk or soup. Epileptic fits and derangement of the nervous system are difficult to treat during the course of the disease. If they are caused by cutting teeth, lance the gums; if due to worms, treat for them before the system becomes too debilitated to stand the drugs necessary to remove them. If, however, the convulsions are severe, frequent, and exhausting, they can be relieved by giving bromide of potash in doses of from five to twenty grains four or five times a day, either in a capsule or watery solution. If the excitement is extreme the bromide can be combined with from three to ten grains of chloral. The latter drug should be mixed with mucilage to prevent its irritating the throat. A fever is often the initial symptom but may go unnoticed. Symptoms become more serious and noticeable as the disease progresses. The symptoms become exacerbated by secondary bacterial infections. Complications involving the eyes can also occur. Some complications of the eye can be serious enough to damage the optic nerve and cause the dog to go blind. Encephalomyelitis is a complication that can develop. It is an inflammation of the brain and spinal cord. How to spot the early signs of distemper? First and foremost, understand that distemper can often be diagnosed very early if regular trips to the veterinarian are scheduled and kept. This cannot be stressed enough, especially for new puppies! Because afflictions like distemper most often strike very young pups when they have weaker immune systems, it’s crucial that owners visit the vet often in the first few weeks of life. Early diagnosis means a chance to survive distemper. Owners who suspect distemper, but haven’t had the animal seen by a vet yet, can detect it by a couple of signs. First, yellowish-green or dark green discharge from the eyes and nose is a classic symptom. It’s often accompanied by sneezing and general lethargy. Unfortunately, many pet owners assume this is just a sign that their dog has contracted a cold or has allergies and they ignore it. If you remember nothing else about what you read here, remember this: any greenish discharge from the eyes or nose means distemper is a real possibility. While distemper can manifest differently from one dog to the next, another hallmark of it is constant shaking or twitching. This happens in the more advanced stages of the disease, when the infected dog’s neurological system has been compromised and muscles fire continuously. Unfortunately, by this stage it’s rarely treatable and the humane step is euthanasia. Having said that, always get your pet checked out thoroughly to rule out some other condition that may be causing the tremors. You never know. Dogs are like people, in that they are susceptible to a wide range of illnesses and diseases that can share very similar symptoms. It isn’t easy for pet owners to prevent diseases as serious as distemper. It’s infamous for sneaking up on otherwise healthy puppies. Excellent vaccines are now available to protect dogs from canine distemper virus. These newer vaccines are manufactured from living, weakened (attenuated) viruses that induce long-lasting immunity. These vaccines are produced in bird or dog cell cultures. Immunity lasts many years. Vaccinations must not be given too early to puppies. The shots must be given to puppies at a time when the level of circulating antibody that they received from their mothers is in decline or the vaccine’s effects are neutralized (6-10 weeks). Twenty percent of this maternal immunity crosses the walls of the womb into the puppy while eighty percent is absorbed from colostrum milk across the intestine. A method around this problem utilizes a vaccine against human measles , a similar virus, to protect young puppies against canine distemper. Vaccines produced in canine tissue culture are the most effective but also the most likely to produce a small number of vaccine-induced distemper cases. Dogs that survive natural infection with canine distemper virus remain immune for life. In ideal situations, puppies should receive a combination measles virus/canine distemper virus when they are six to eight weeks old. They should never receive a live virus distemper vaccine if they are under four weeks of age as these have proven fatal. Then, every three to four weeks they should receive a modified live virus distemper shot for an additional two vaccinations. Then, booster vaccinations every three to four years are sufficient in dogs with a normal immune system. The precise interval can be calculated based on a neutralizing antibody test run on the dogs serum.